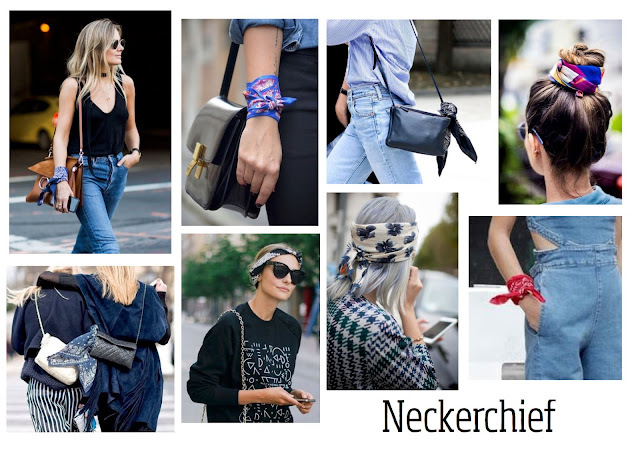 Neckerchiefs for me are used mainly on my hair, especially around summer. Although I like the look of it around the neck, surprisingly I have never worn it that way, but never say never and I am always willing to try new things. Neckerchiefs will go with most outfits and make a simple top stand out. 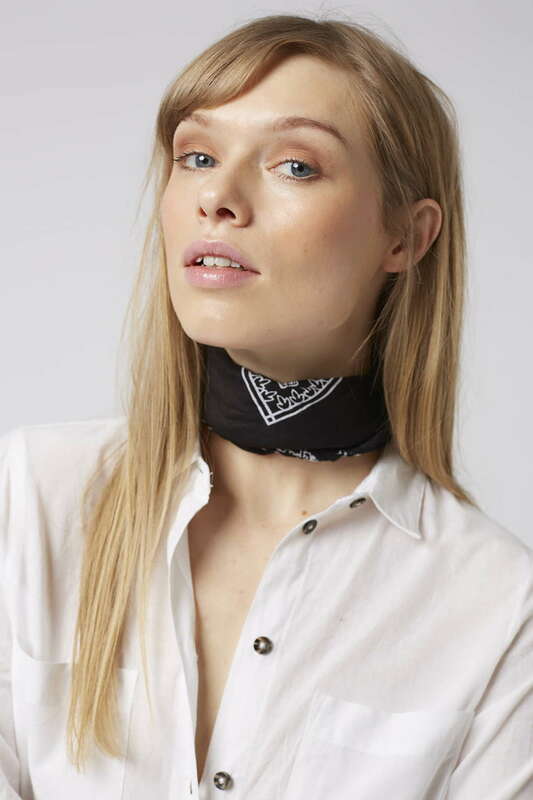 Why not pair a bandana with a dress to toughen up the look. I don't think I can pull this off but does work well. 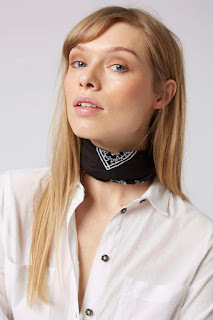 Fashionistas were spotted this year during NYFW wearing the neckerchief and Amiee Songs from Song of Style was one them styling this look. Below were a couple of her looks I loved, check out her page for her other outfits and details. 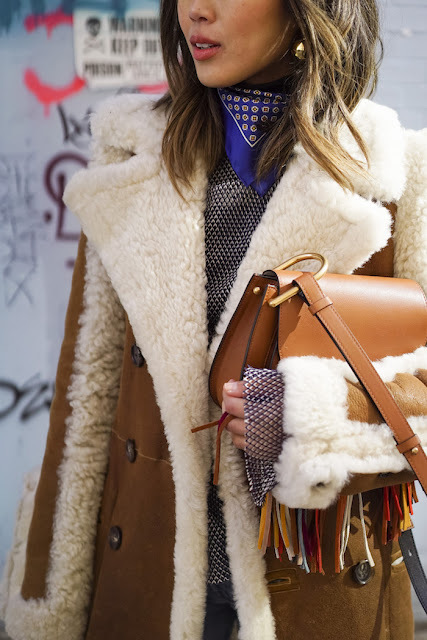 Although a nice wooly scarf would probably keep you warmer right now on what feels like a never-ending Winter, try the look on mild days or over a jumper. 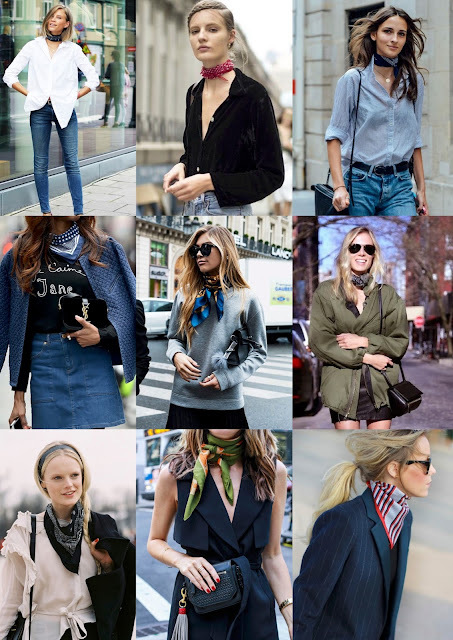 I'm not sure I can pull off most of the street style looks shown, but worth trying out and experimenting. 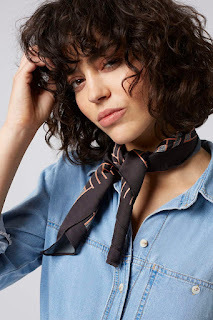 You don't have to spend too much money for this look, you can get cheap scarves/neckerchiefs from places like Camden market, Shoreditch or even charity shops, I actually purchased mine years back for £1 each from Camden market. Topshop neckerchiefs priced from £5. The good thing about this accessory is that it has multiple uses, wear it as a headband, tie it around your bag or even on your wrist. Whichever option you choose you can't go wrong.